The American Legion Department of Florida 100th Anniversary Member Directory Project is about to begin! 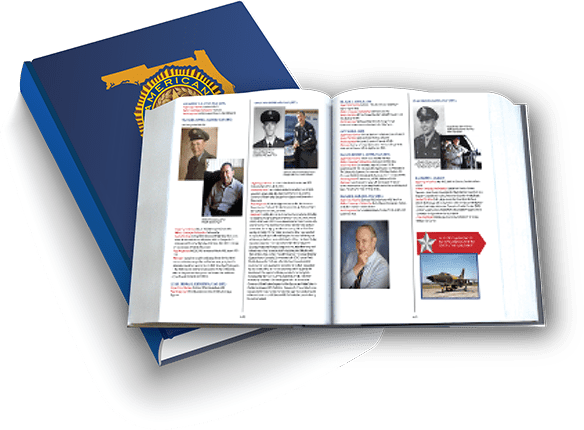 The American legion Department of Florida has contracted with Publishing Concepts (PCI), a trusted partner, to create this special member publication. Watch for postcards and emails from PCI with instructions to update your information so we can take advantage of this great opportunity to celebrate our rich history and heritage! Work has begun on the The American Legion Department of Florida 100th Anniversary Membership Directory. Directory questionnaires are being sent to all Members, some via email and some via USPS. Information on purchasing the directory is not included in this initial mailing, as the goal is simply to gather the directory listing information from those that want to be included. Only those members that provide information for their directory listing will be included in the directory. I received an email/postcard/phone call from a company asking for my personal information. They said they were working on a directory for The American Legion, Department of Florida. Is this a legitimate project, or is it a scam? We have partnered with PCI (also known as Publishing Concepts) to produce our new members directory. PCI is a company located in Dallas, TX that publishes directories for educational institutions, fraternities, sororities and military organizations across the nation. 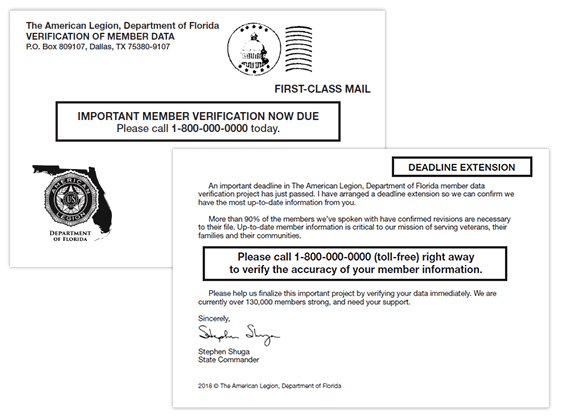 This project allows The American Legion, Department of Florida to receive important updates to our database so we know more about our members and how we can better serve you and future members. The names, addresses and information provided to PCI by The American Legion, Department of Florida for the publication of the Directory will be held confidential by PCI, except to the extent that they are utilized in, or in the preparation of, the Directory and except as required by court order or law. The Directory will be made available only to members of The American Legion, Department of Florida. Upon completion of the project, PCI will return to The American Legion, Department of Florida any and all electronic files that have been supplied by The American Legion, Department of Florida or produced by PCI in connection with the production of the Directory. I would like to verify and update my information. How may I do this? If you have received a postcard or an email with a telephone number, you may call the number to speak with a dedicated representative for The American Legion, Department of Florida project. The representative will verify all the information we have on file for you and make any updates where needed.If you have received an email with an embedded link, you may go to the online site to review your information. If you have questions, you may call PCI’s customer service desk at 1.800.982.1590. Can anyone purchase a directory? The American Legion, Department of Florida members Directory is available for sale only to The American Legion, Department of Florida members. When will I receive my directory? The total duration of the directory project is about 12 months. Since we began the project in April 2018, the directories will be distributed in April 2019. Can I choose some or all of my information not to be printed in the directory? When you call to update your information, you can tell the representative what information you would prefer to have excluded. You may also communicate this information to the PCI customer service desk (1.800.982.1590) or to the Department. I ordered a directory/package over the phone and would like to cancel my order. How do I do this? Call the PCI customer service help desk at 1.800.982.1590, and they will take care of this for you.